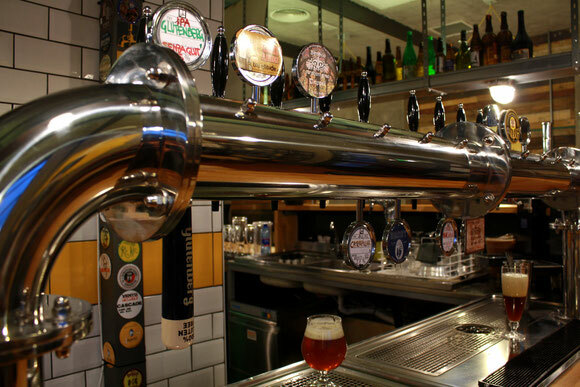 In Via Francesco Negri - Rome - we find Hopside , pub & restau Hombrewing with attached workshop . Opened in December of 2013 , the restaurant is the brainchild of young (and not) Roman boys who decide to give a " kick" to the Italian statistics of unemployment, re- invent and innovate, opening a special local, something with a new concept ! Hopside 's restaurant : the menu is designed for everyone , from those who love the gourmet who loves to stay on the simple, no hazard . 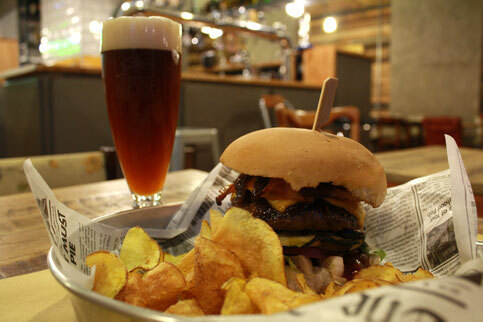 Hopside 's Burger Bar, street and comfort food : hearty burgers , to be seasoned " to taste", in sandwiches from the Roman tradition and not only! Hopside is the brewery ! International cuisine, steak burgers, vegetarian dishes and also wanting gluten-free cooking . With 12 proposals of craft beer on tap and in bottles with special beers. Hopside is a laboratory: the only place where you can prepare your own beer, the "production room " ready and equipped to accommodate fans and those who want to try something unique !